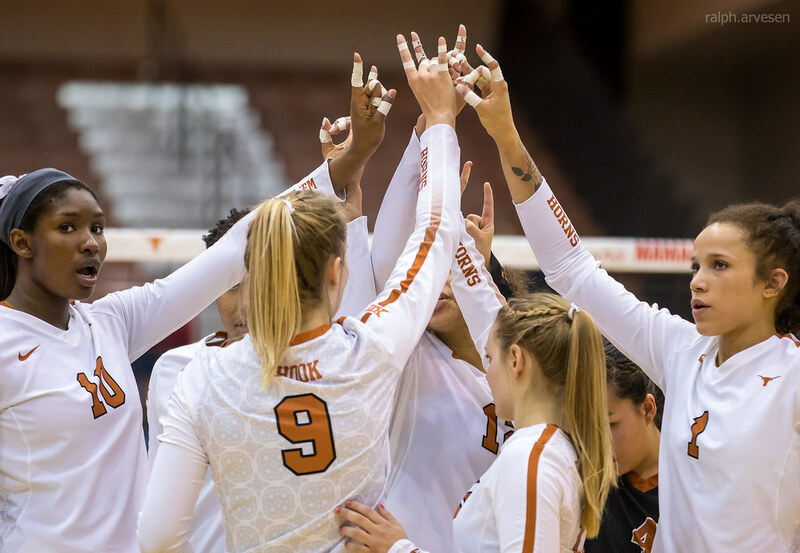 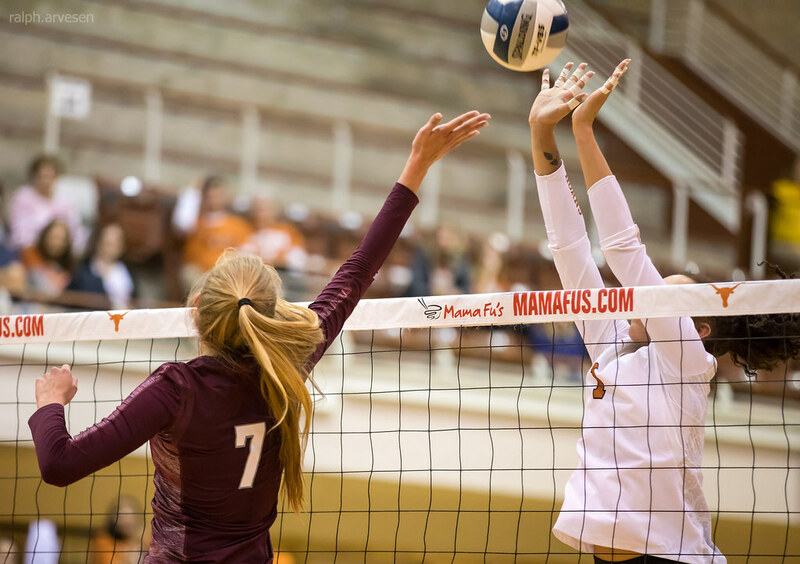 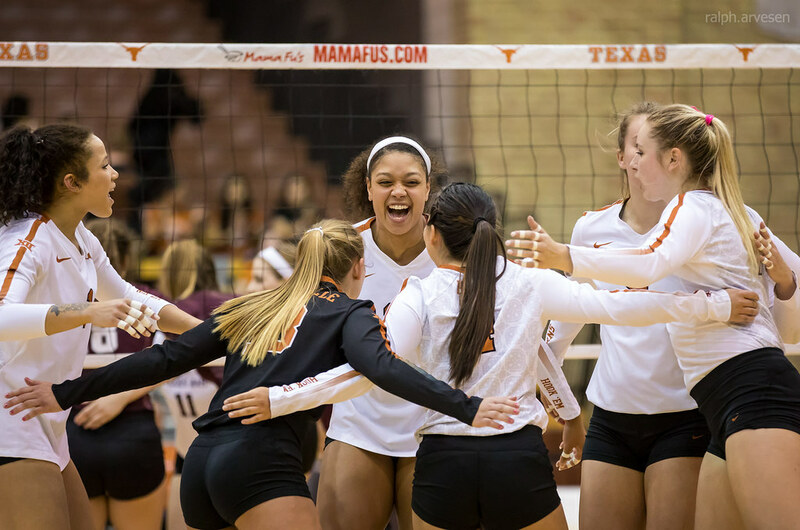 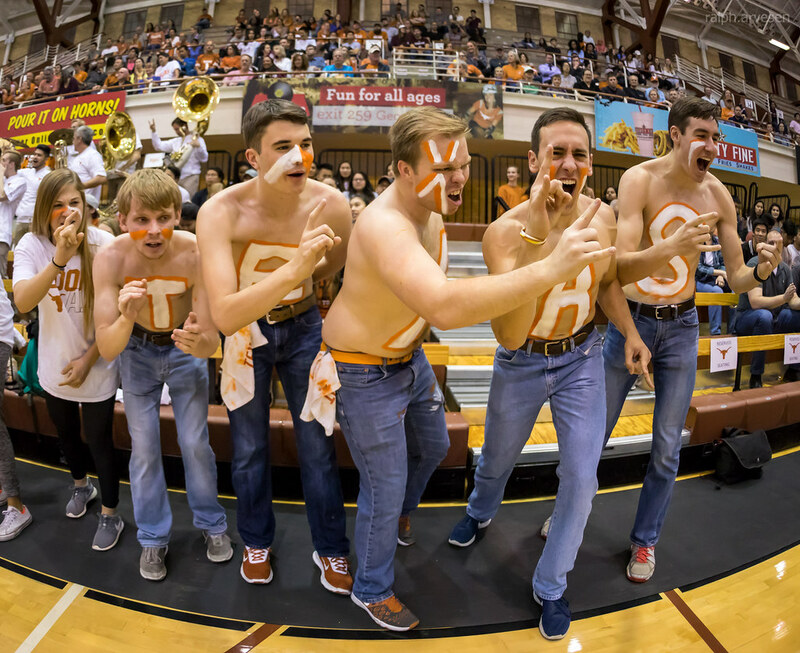 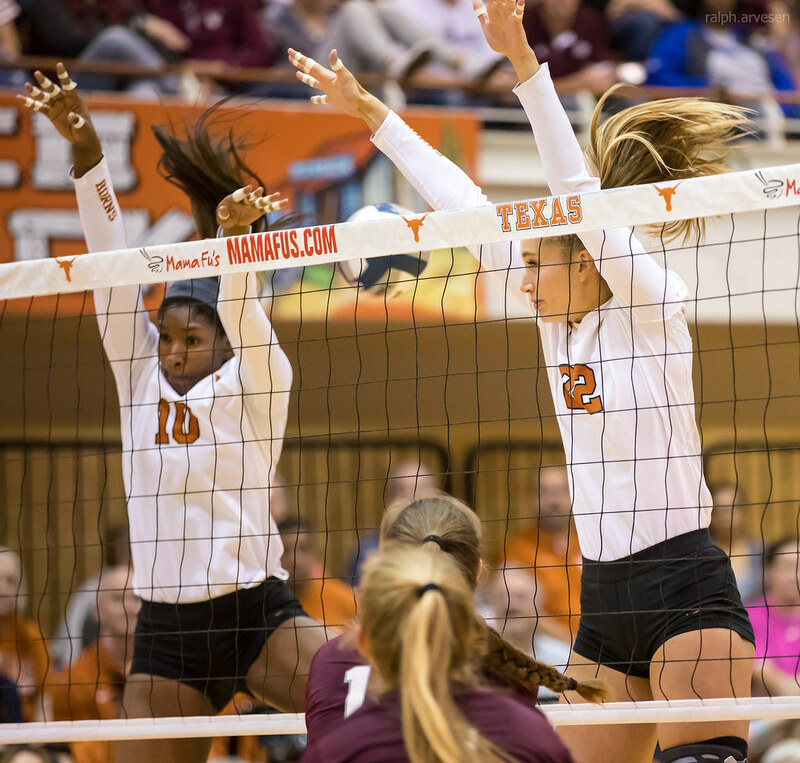 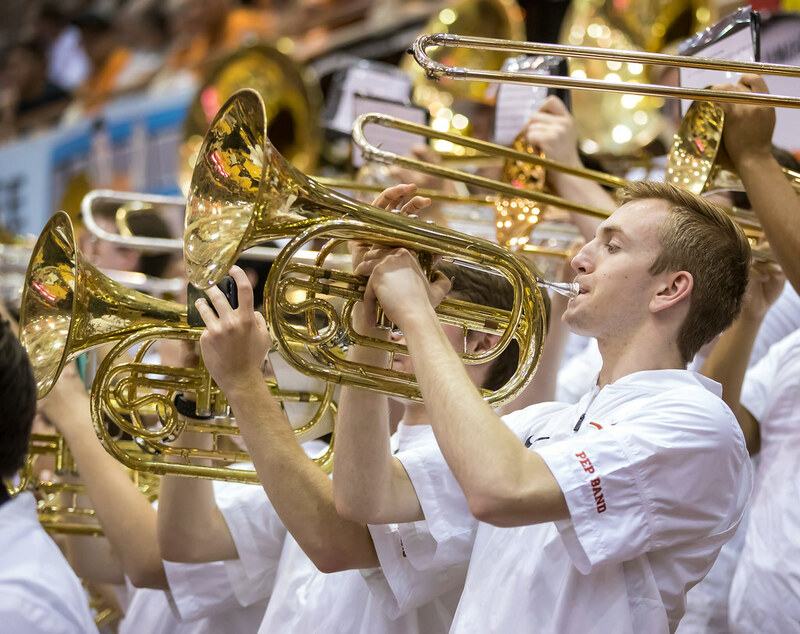 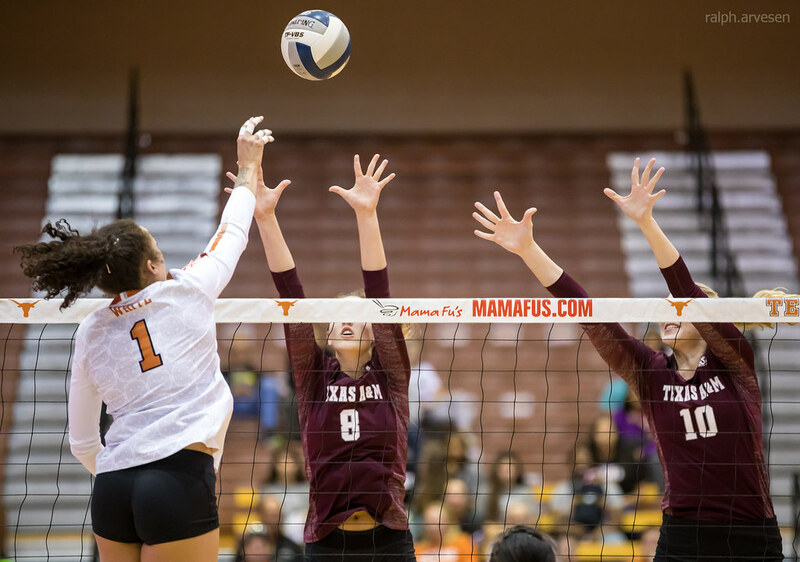 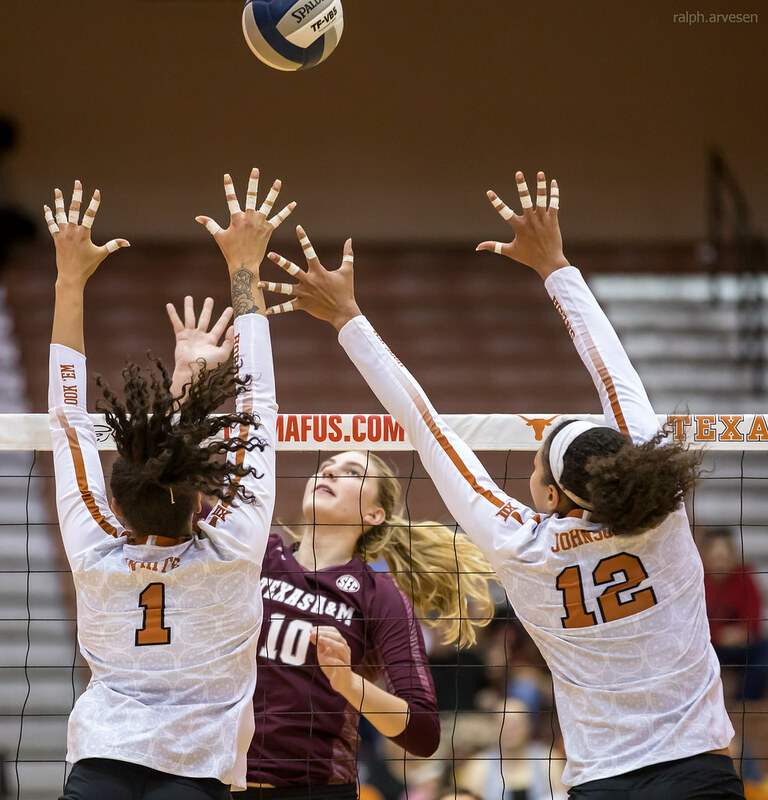 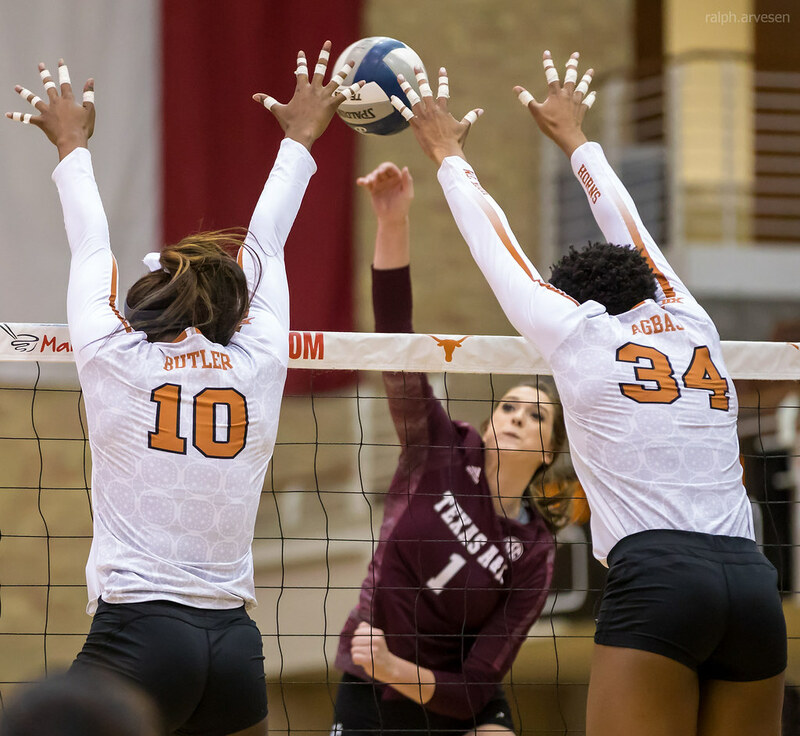 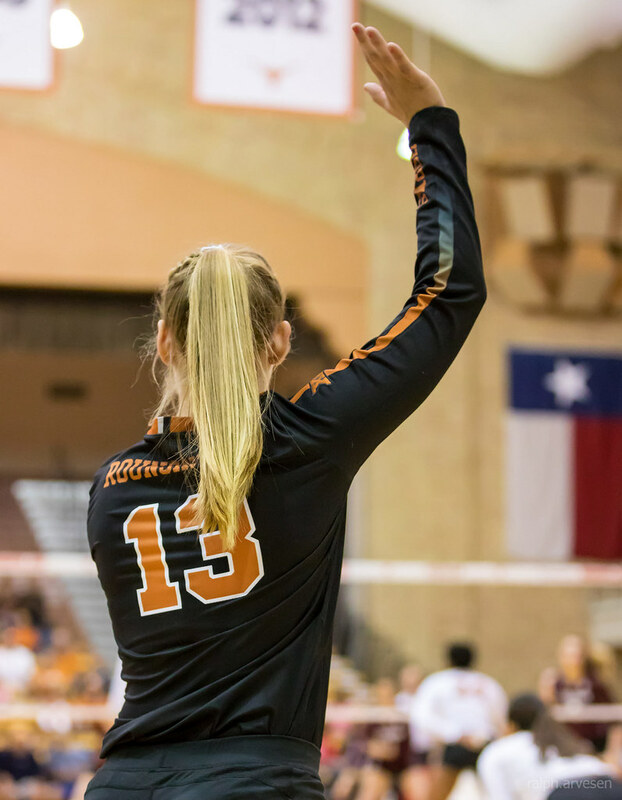 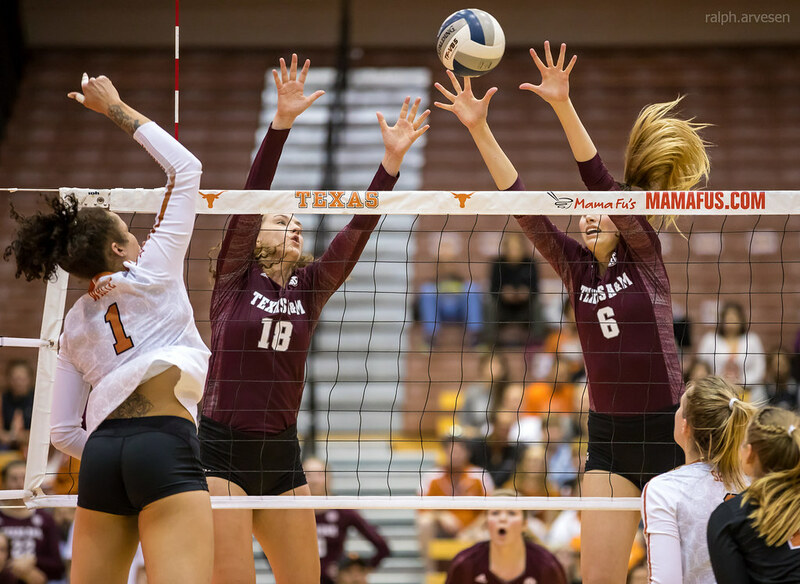 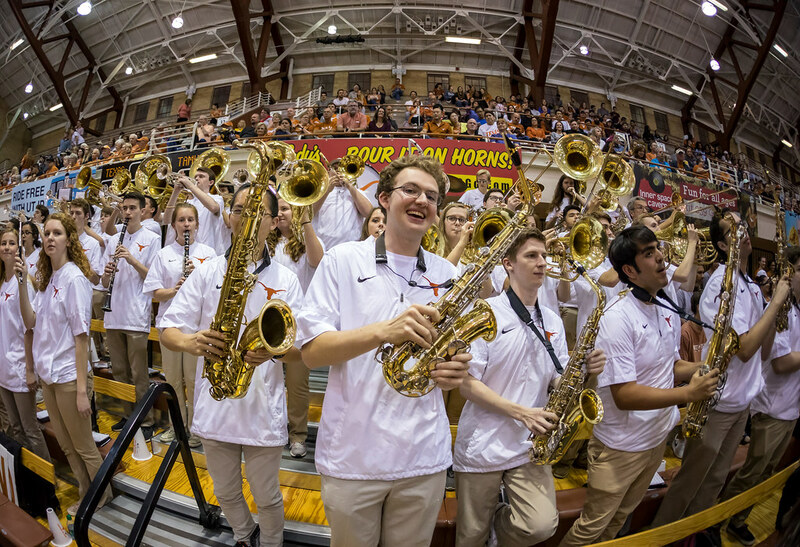 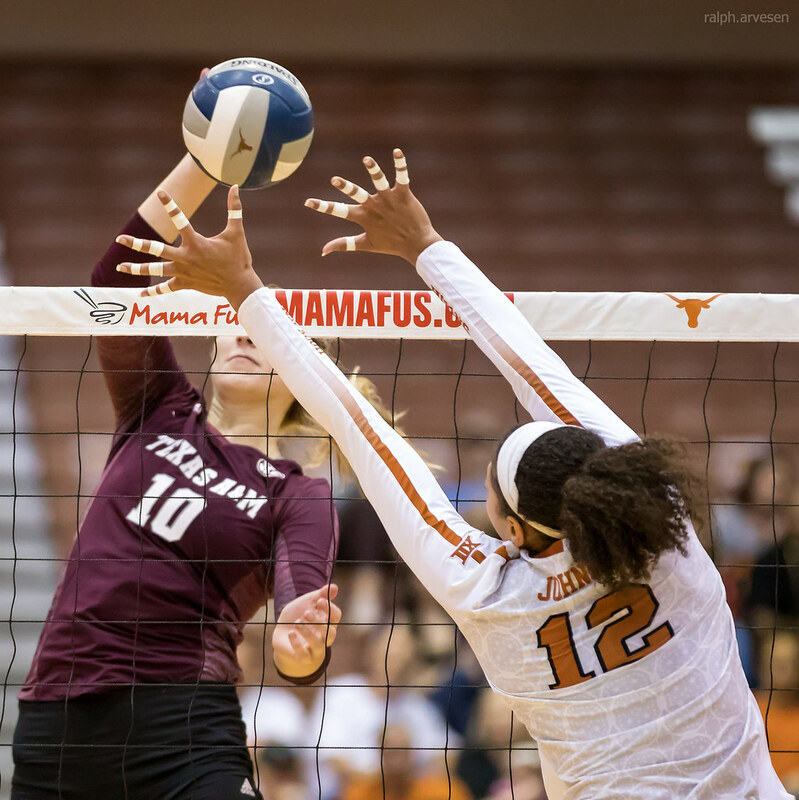 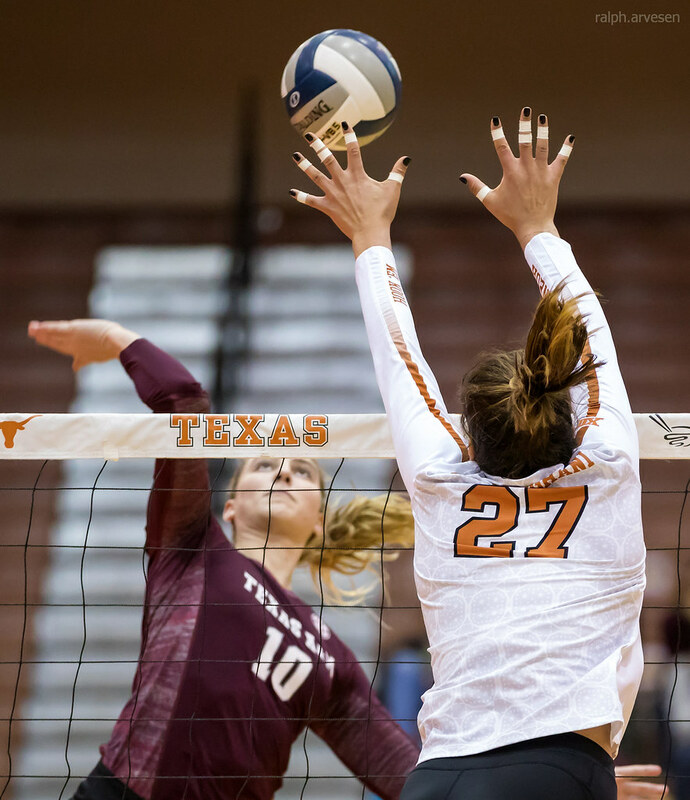 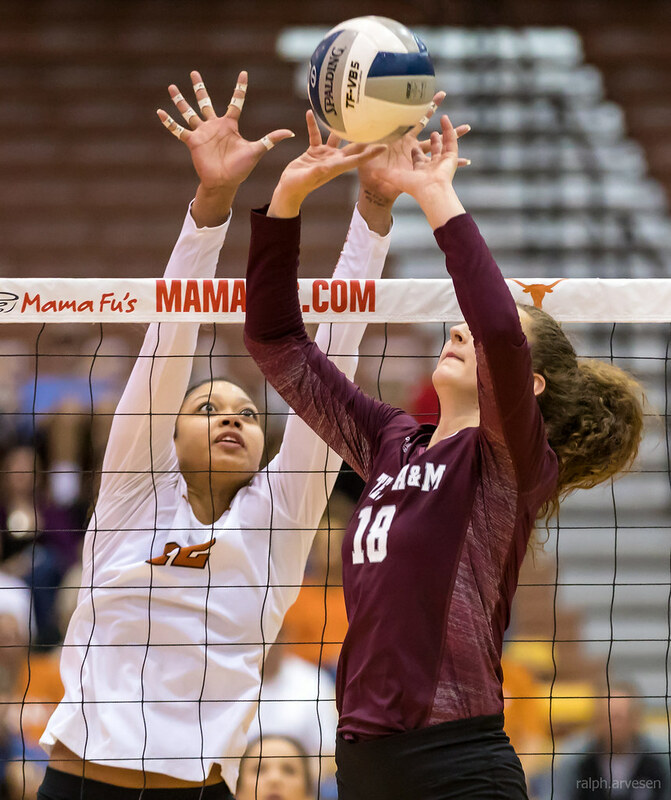 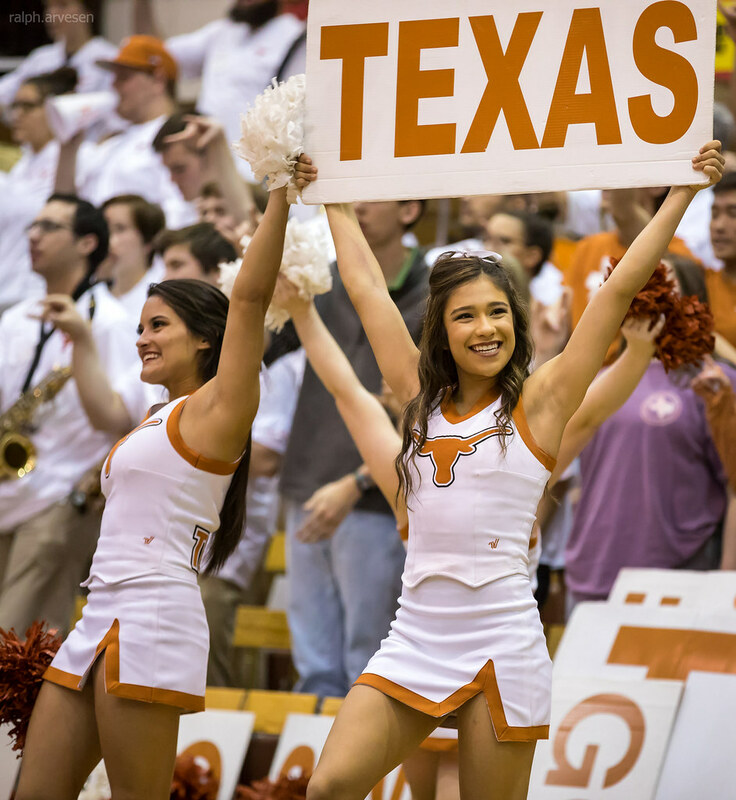 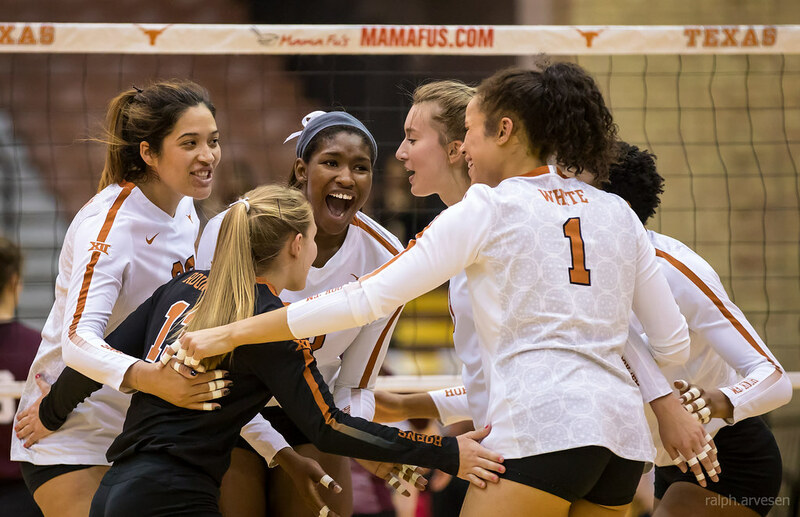 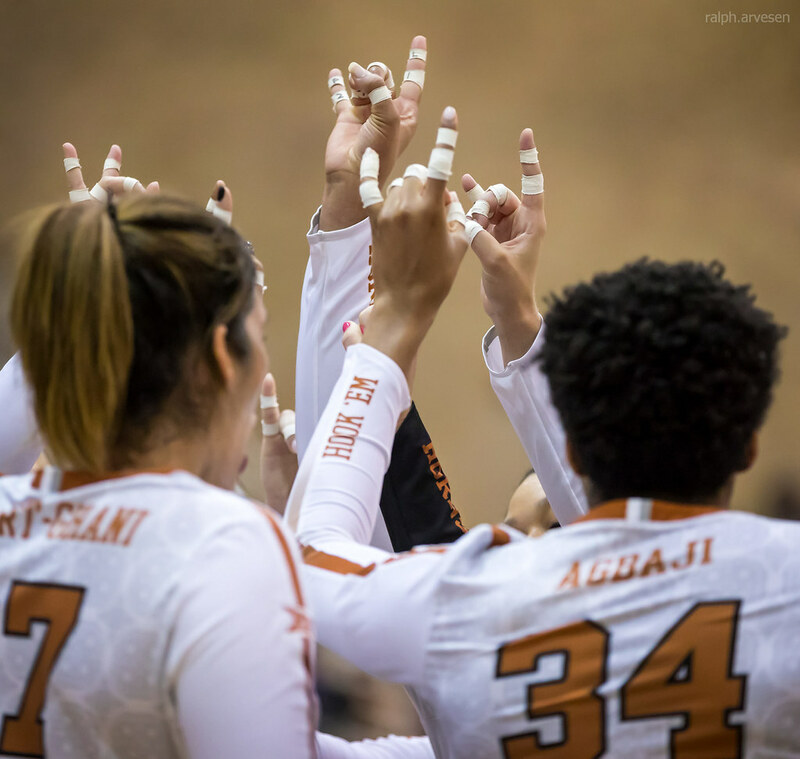 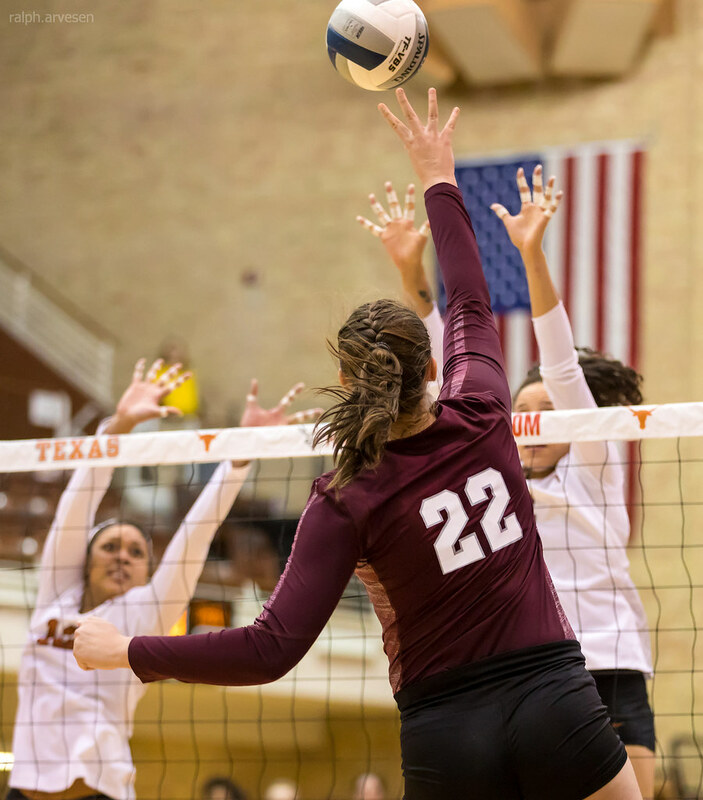 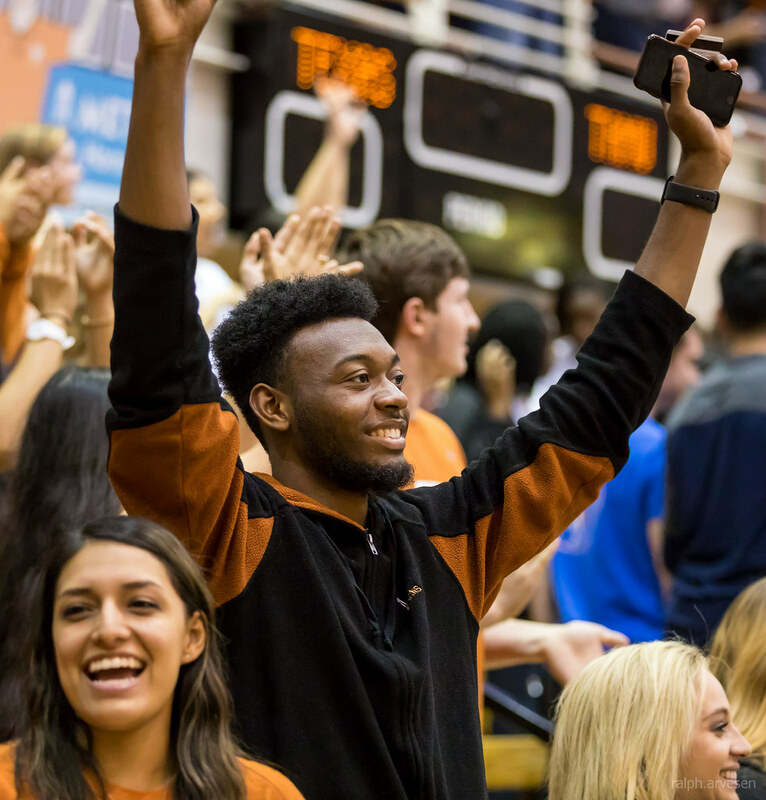 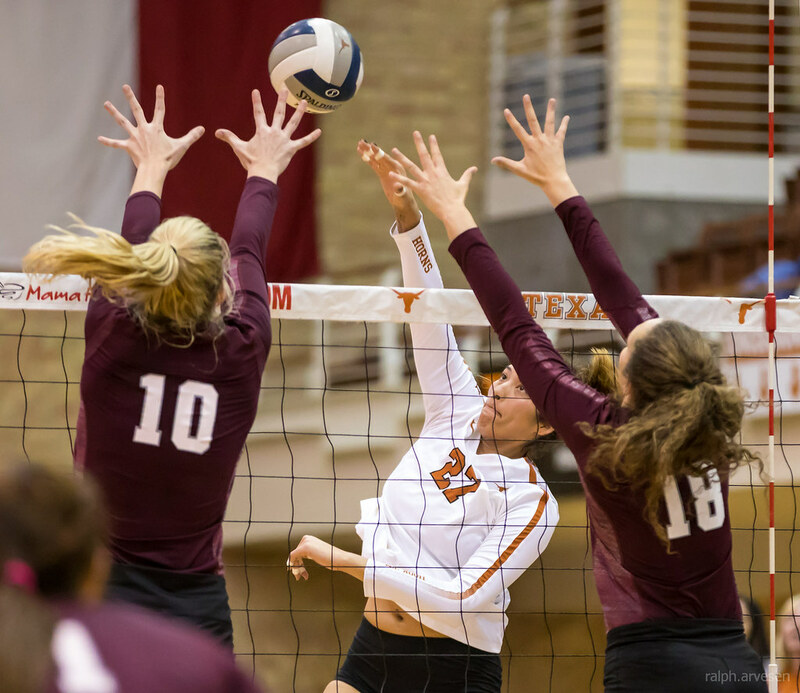 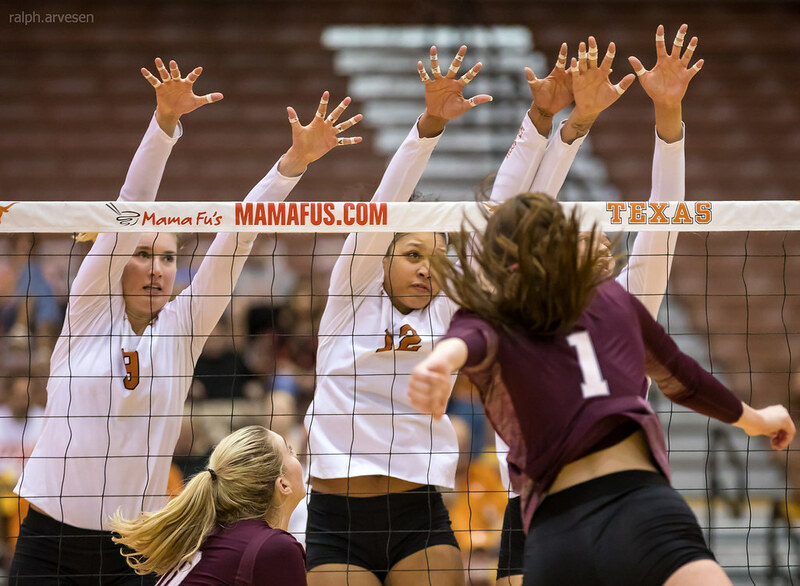 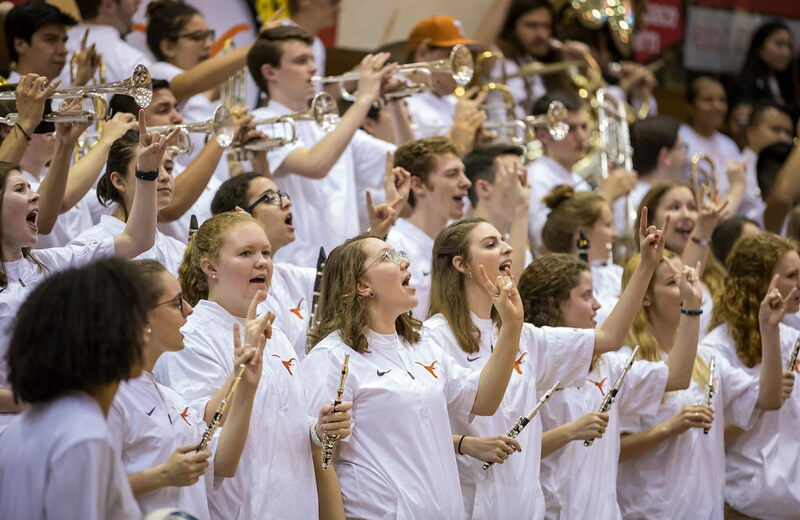 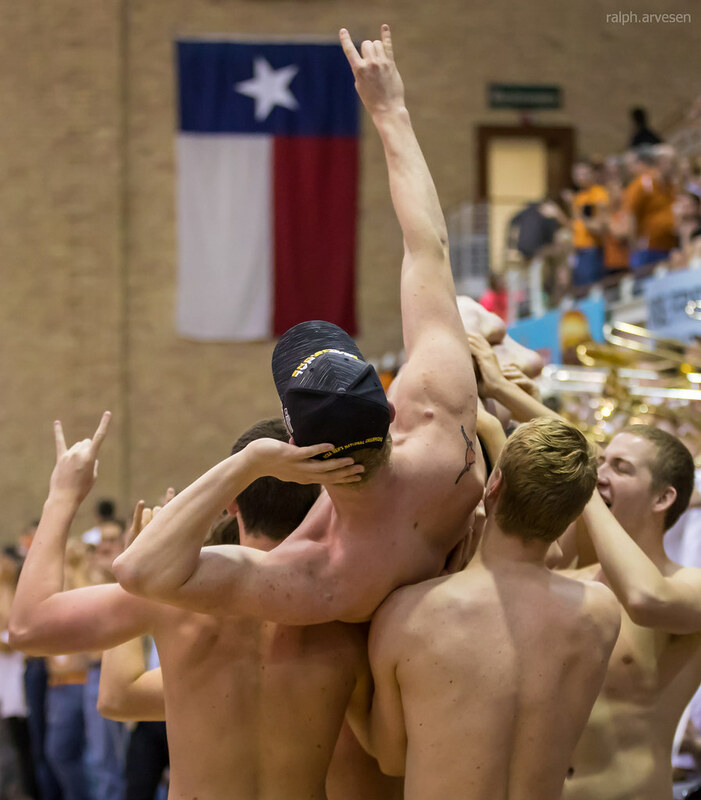 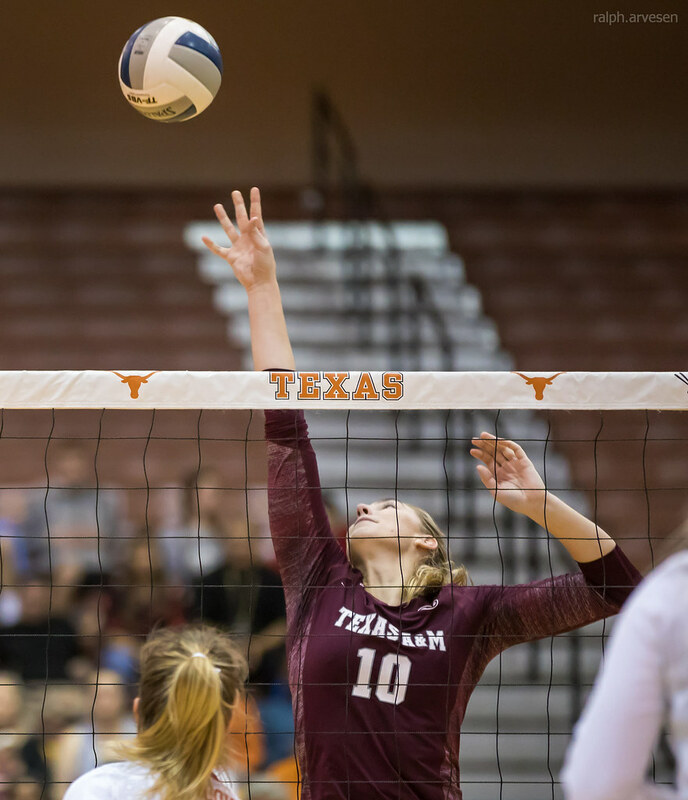 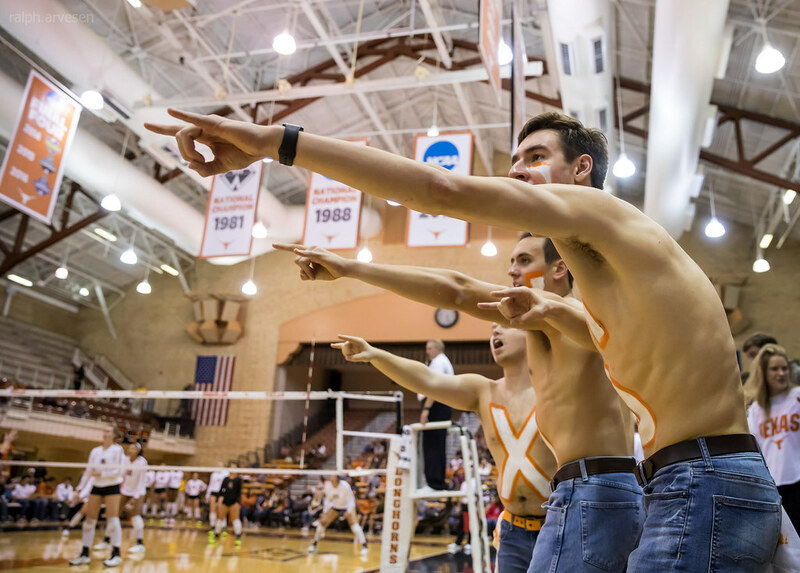 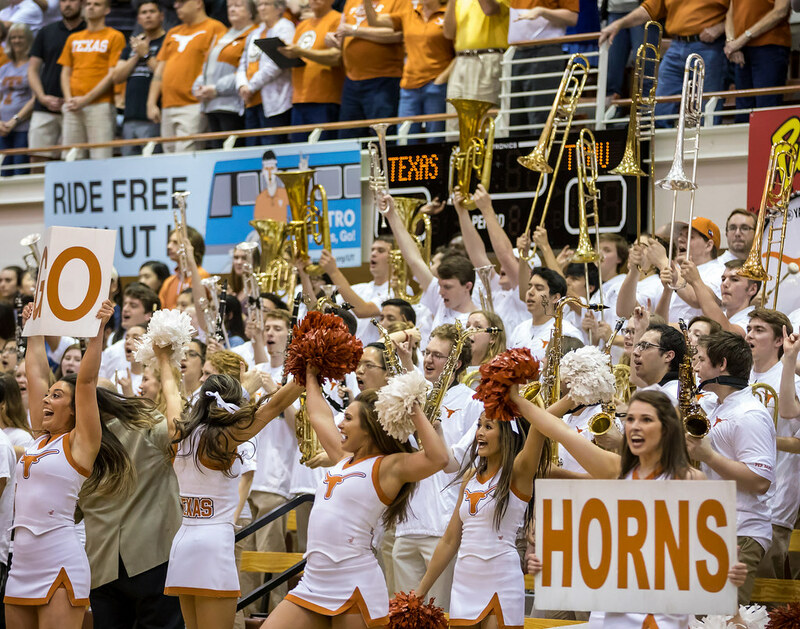 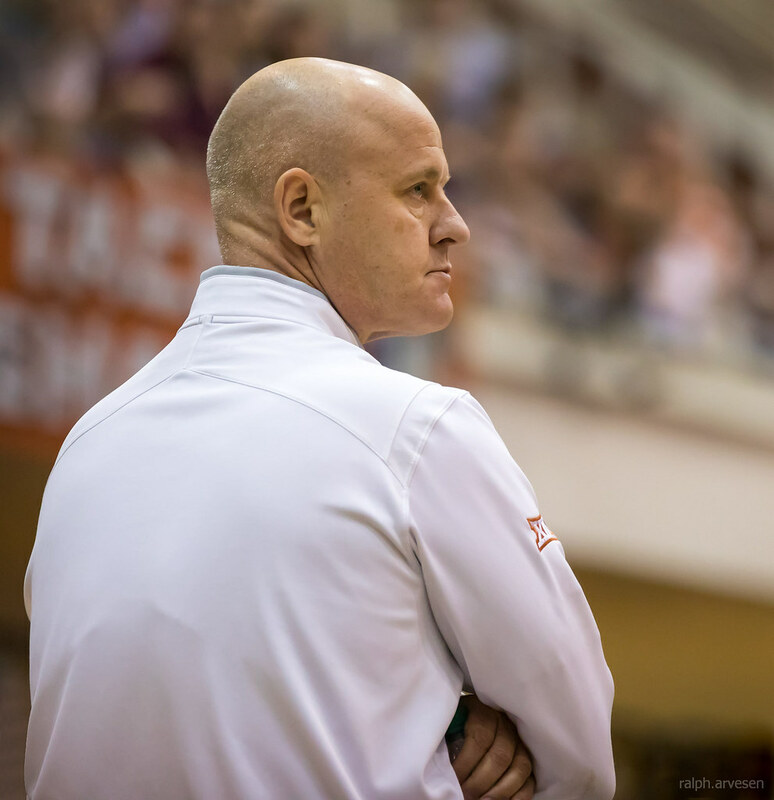 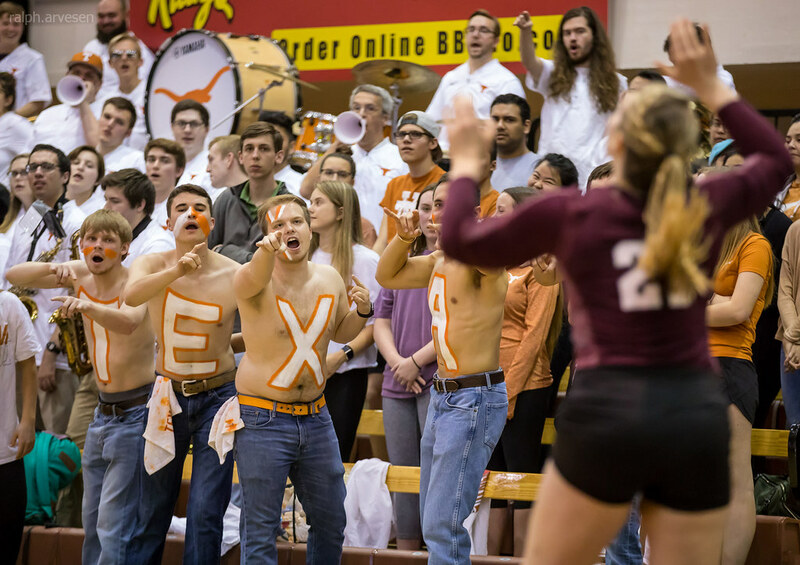 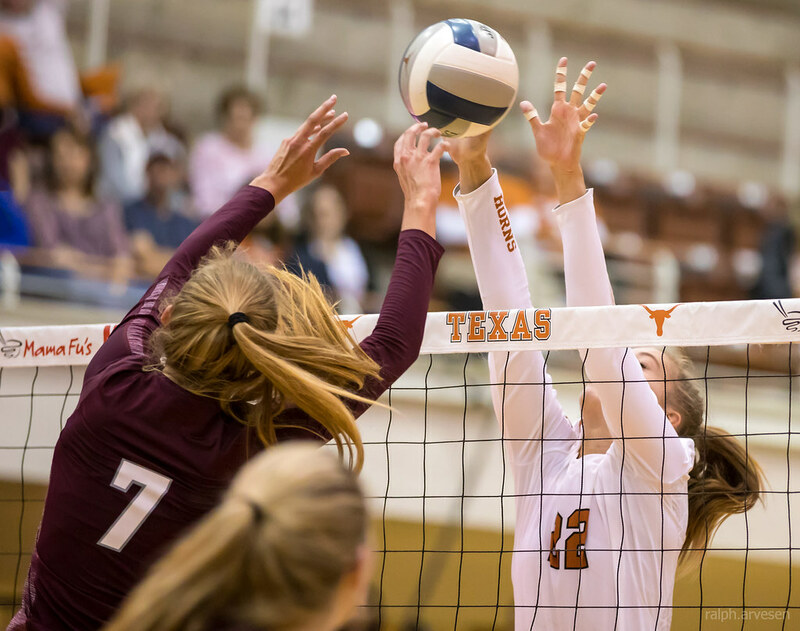 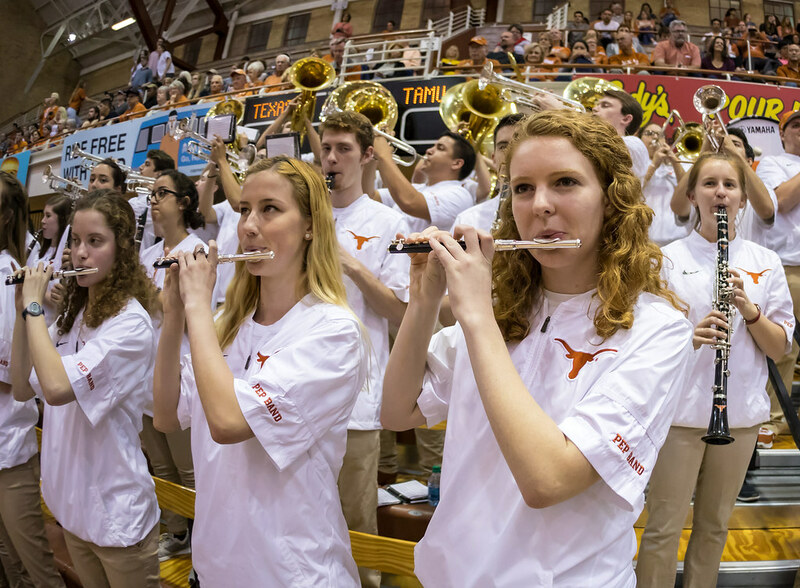 University of Texas Longhorns volleyball match against the Texas A&M Aggies at Gregory Gym in Austin, Texas on April 4, 2018. 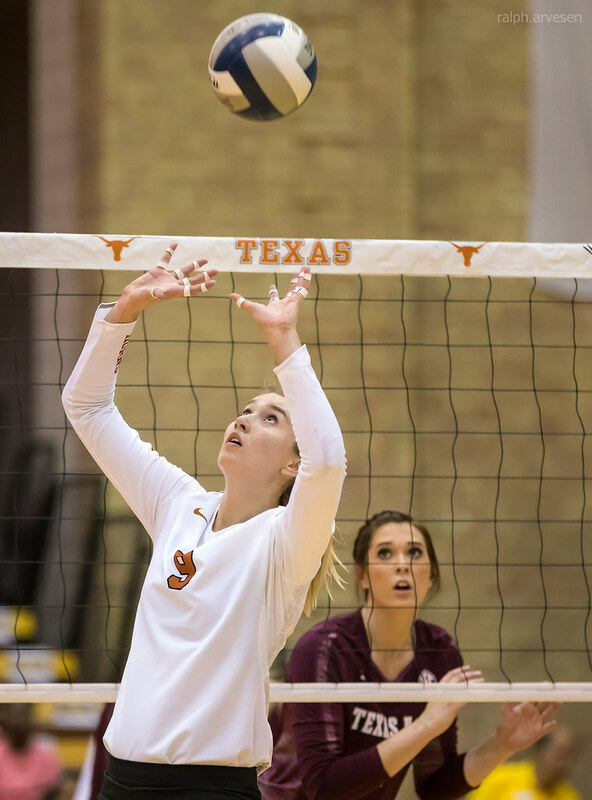 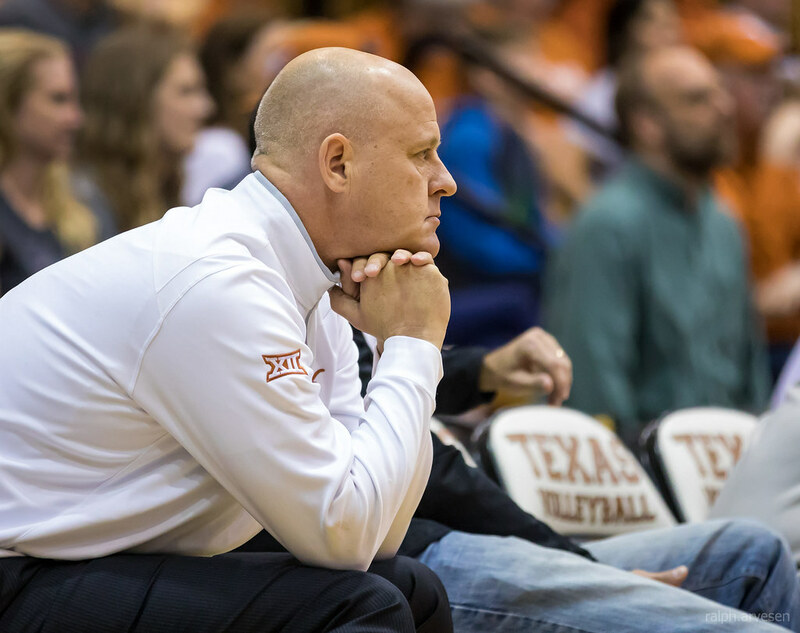 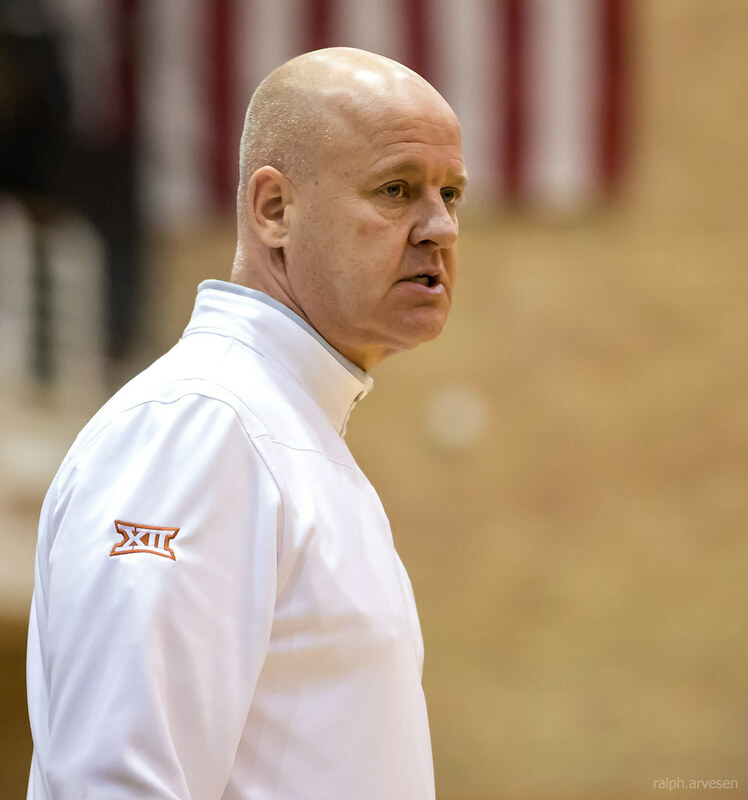 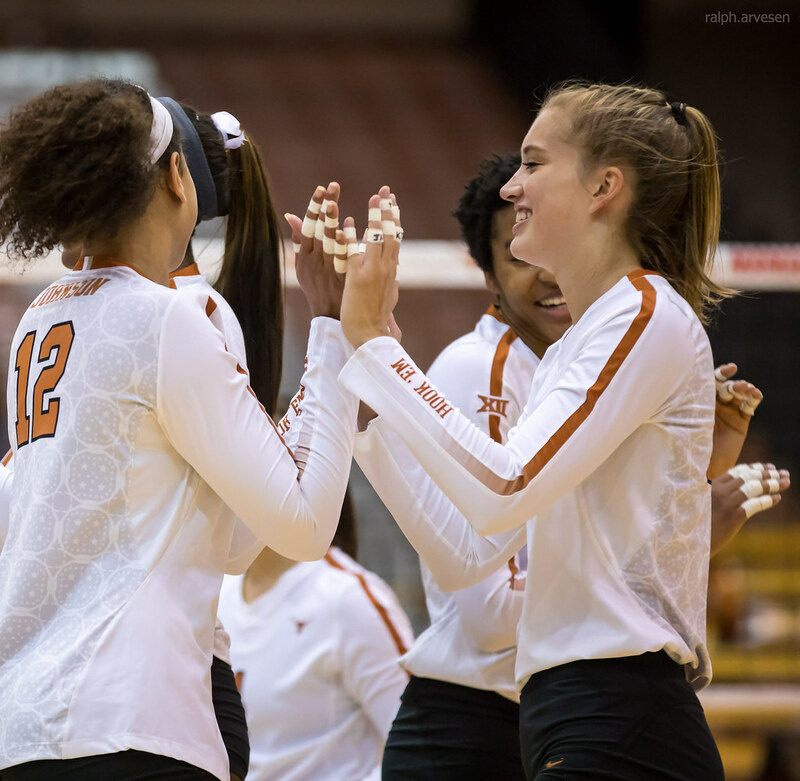 Texas Volleyball opened its spring season with a 3-1 (25-15, 18-25, 25-16, 25-23) victory over Texas A&M on Wednesday night at Gregory Gym. 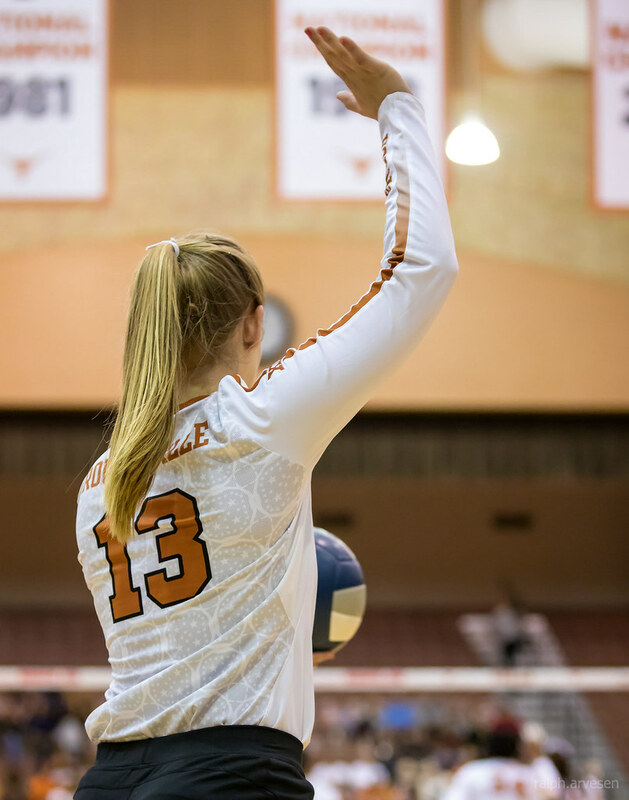 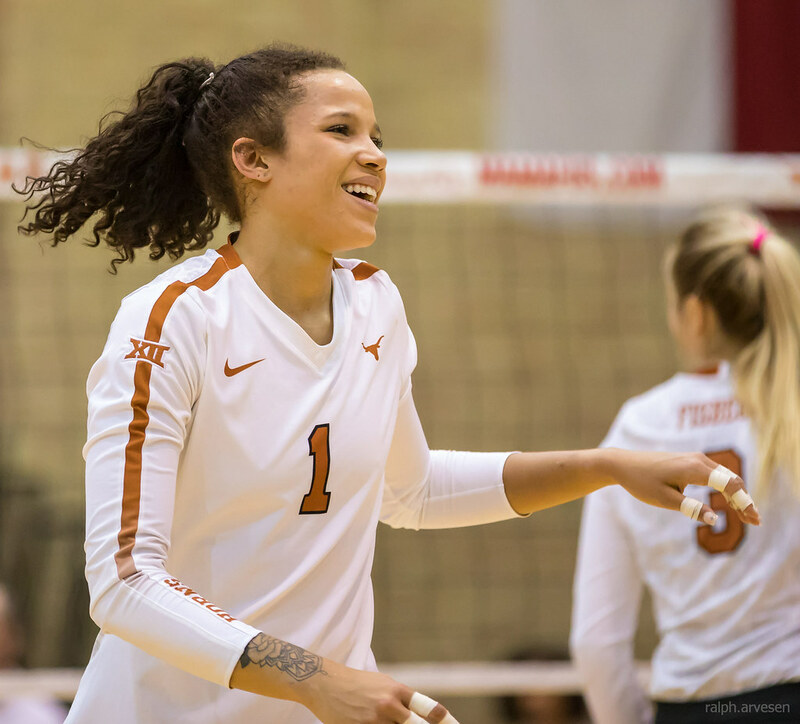 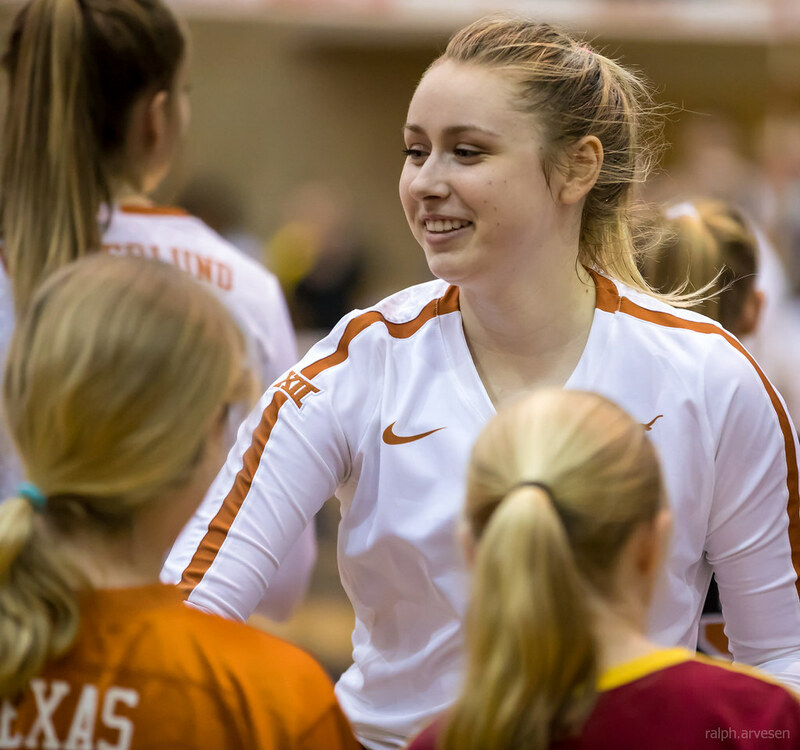 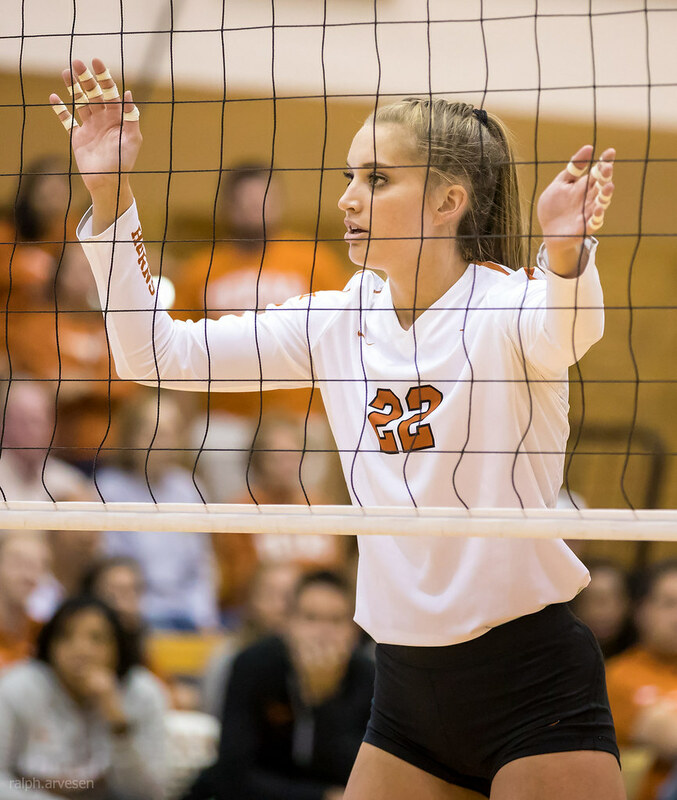 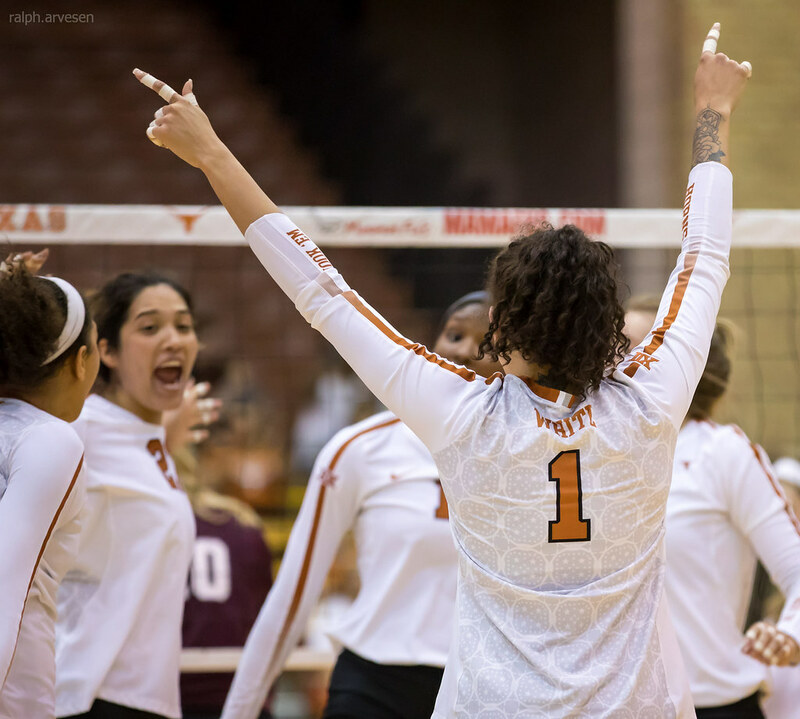 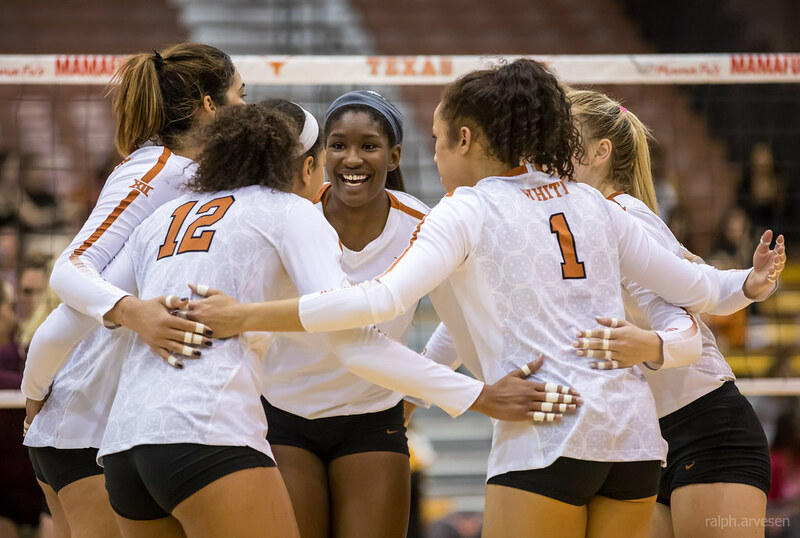 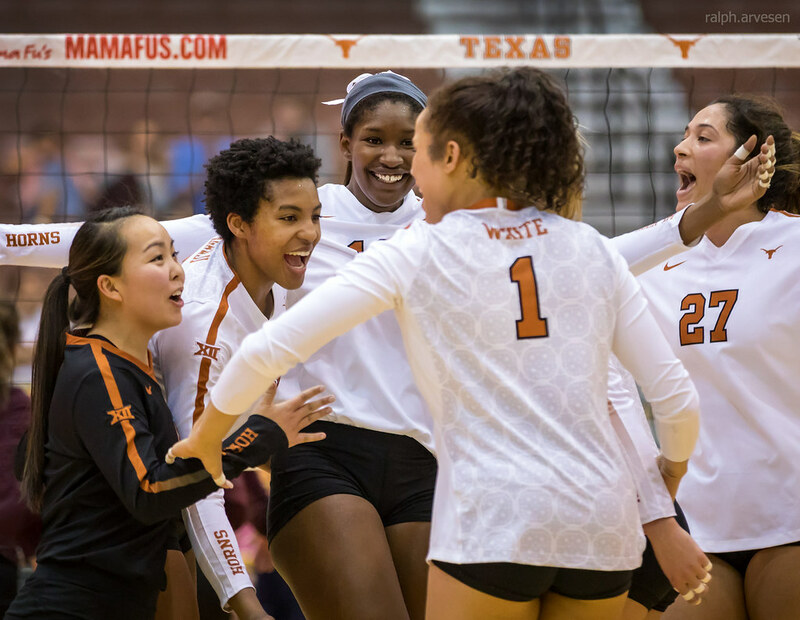 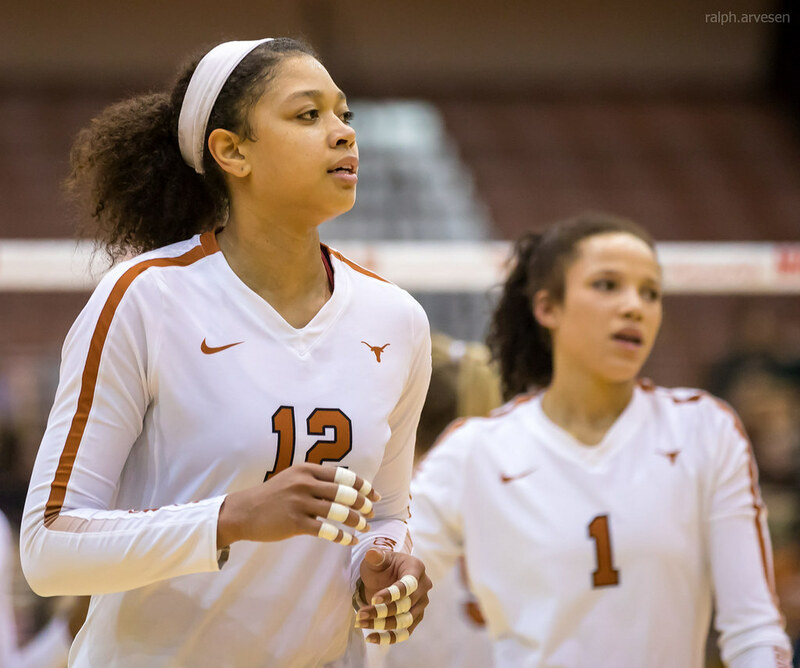 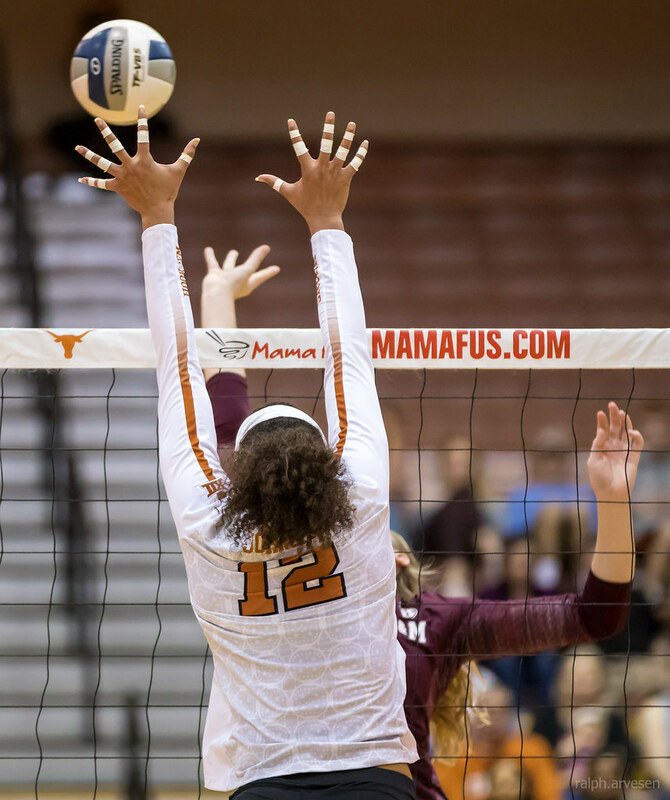 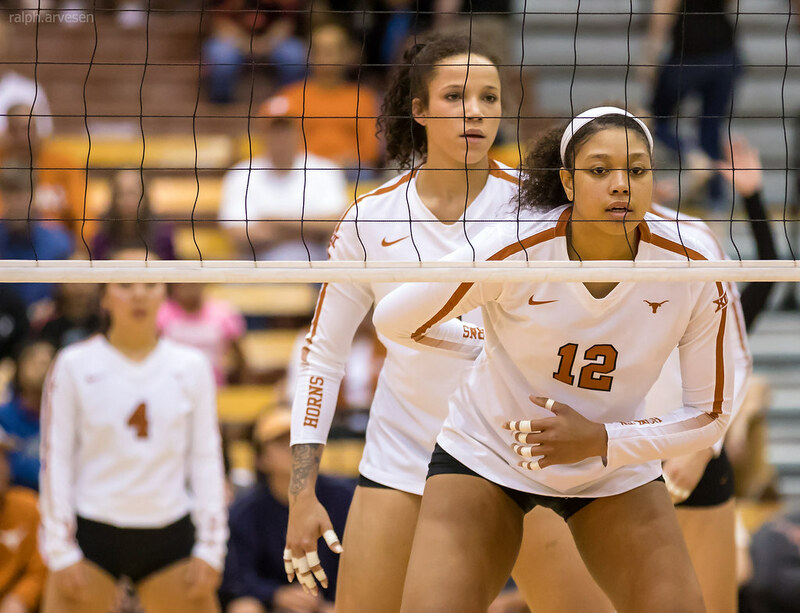 Junior Micaya White led the Longhorns with a double-double, finishing with 10 kills (.364) and 16 digs, also adding two blocks. 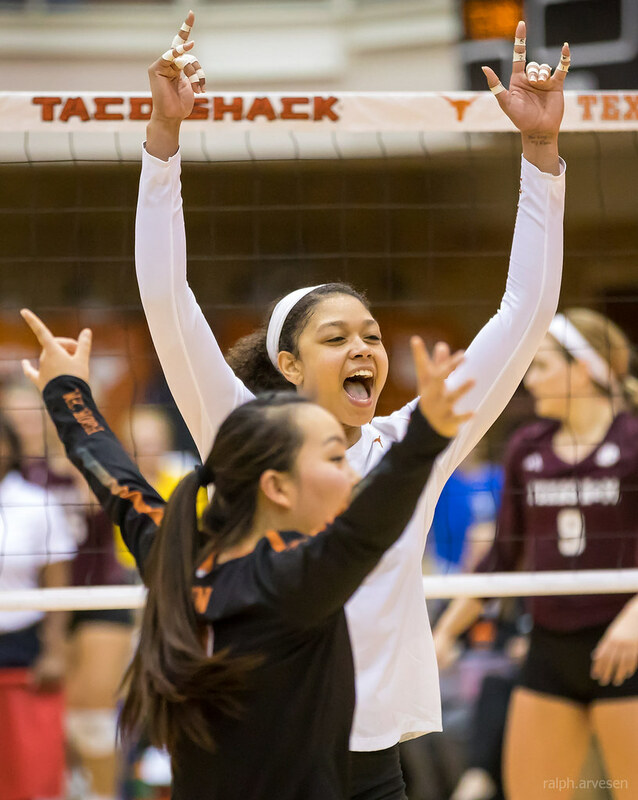 Seniors Yaasmeen Bedart-Ghani and Morgan Johnson finished with nine and seven kills, respectively. 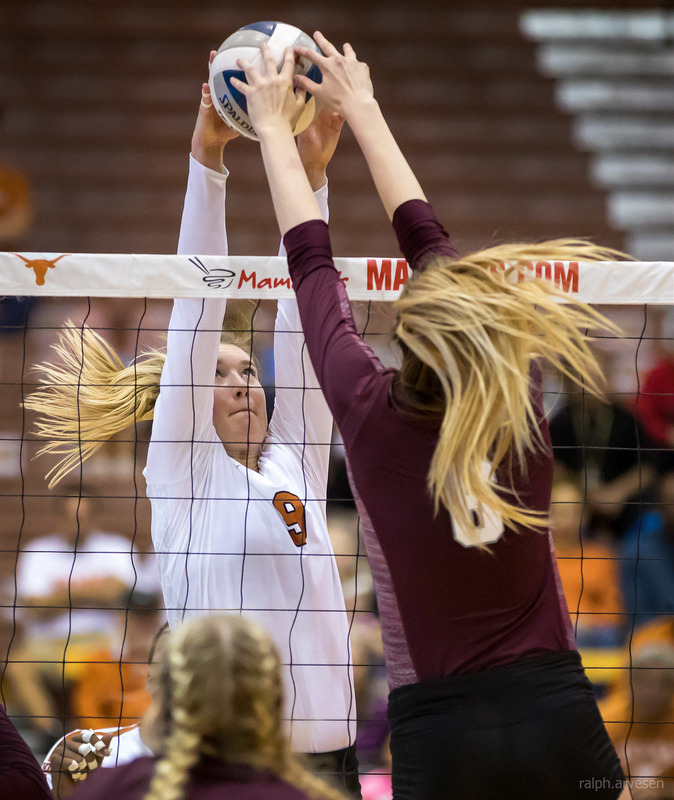 Bedart-Ghani added five digs, while Johnson posted three blocks. 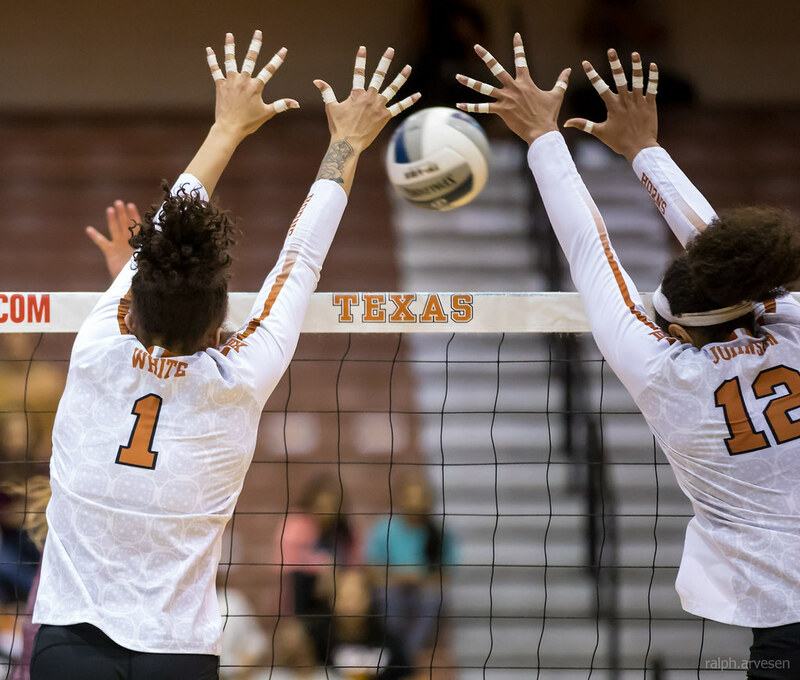 Junior Orie Agbaji recorded six kills on 11 swings (.455) and freshman Brionne Butler finished with five kills (.571) and a team-high four blocks.